In Green Book, a working-class Italian-American bouncer becomes the driver of an African-American classical pianist on a tour of venues through the 1960s American South. 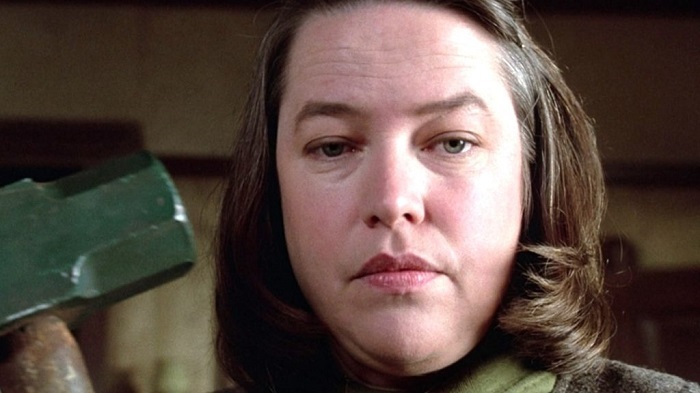 Moviegoers love their true stories. 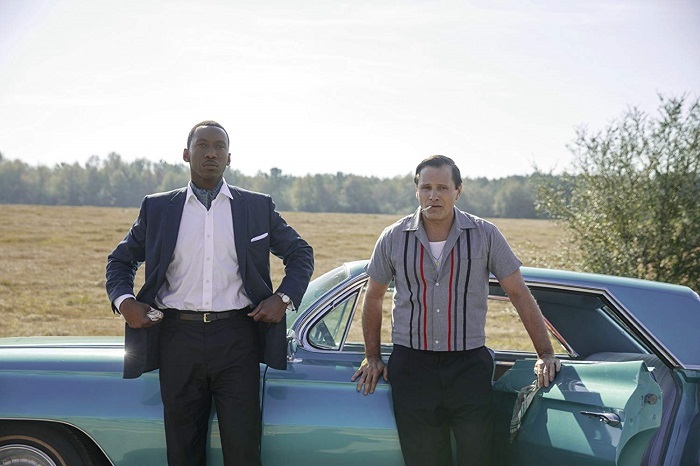 From First Man to BlacKKKlansman, from Bohemian Rhapsody to Operation Finale, nothing gets audiences to the theater quite like the words “based on actual events.” Green Book is another of these real-life adaptations. Director Peter Farrelly (Hall Pass) may seem like a weird choice to direct Green Book, considering that he is mostly known for being one half of the brother’s team that came up with Dumb and Dumber and There’s Something About Mary, but he does a great job at telling the compelling story. Farrelly wrote the script along with the real Tony’s son, Nick Vallelonga (Choker), as well as Brian Hayes Currie (Two Tickets to Paradise). On the surface, it’s a typical unlikely buddy movie mixed up with a fish-out-of-water scenario. It’s only when played against the backdrop of the deep south that what could be a madcap setup turns deadly serious. Although they pretend to be comfortable with their situation, both Tony and Dr. Shirley wind up out of their element a bit, although it’s a bit more obvious with Tony. It’s no accident that Dr. Shirley takes his tour through the deep south, playing music for white people who otherwise wouldn’t (and sometimes don’t) give him the time of day. His music appeals to the audience, even if his skin color doesn’t; in his own words, he’s “not black enough to be black but not white enough to be white.” And then there’s Tony, who, when told the tour would go through the south, asked “you mean Atlantic City?”, having no idea about the wonders of the world outside of his little neighborhood. The polar opposite men find common ground when they realize that all they have to depend on is each other. 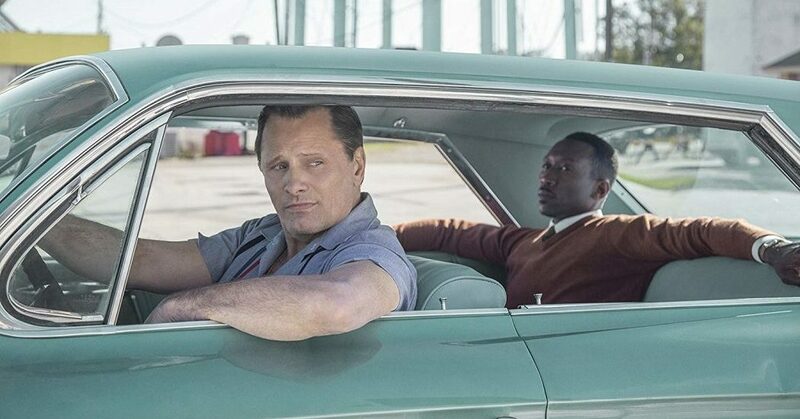 Mahershala Ali and Viggo Mortensen star in Green Book, photo courtesy of Participant Media/Universal Pictures. Although there’s no industrial-strength hair gel or dog-disguised car in Green Book, Peter Farrelly doesn’t completely leave his comedic roots behind. There are a handful of humorous tidbits in the movie, mostly uncomfortable humor that is softly based on implied racism, such as when Tony is surprised that the Doc has never listened to the music of Little Richard, or when Tony has to teach his boss how to eat fried chicken. These moments are not meant to completely crack the audience up, however. They exist more to add levity and heart to the otherwise tense situation, and they are, of course, very effective at accomplishing this mission. 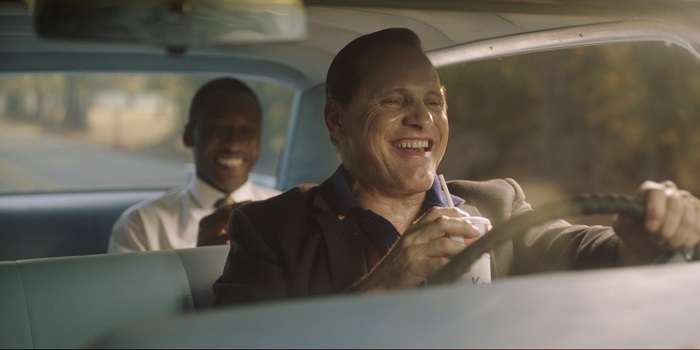 In many ways, Green Book is predictable, even stereotypical. It’s not hard to see where it’s going most of the time, but that’s all right. Farrelly keeps it from being an obvious movie about racism by using that aspect of the plot as a backdrop, putting the budding friendship between Tony and Dr. Shirley at the forefront. And that’s perfect. His point is made, both socially and emotionally. What really elevates Green Room above being just another opposites-attract buddy movie is the stellar performances of Viggo Mortensen and Mahershala Ali. Mortensen plays the tough thug with a heart of gold flawlessly, making an archetypical character anything but common. Ali plays his overeducated artist with the same amount of commitment, a slightly more interesting character that is made much more interesting through his portrayal. There are plenty of supporting players: the other members of Shirley’s trio, Tony’s family, the overtly racist cops and covertly racist uppity Whites that the pair meets during the tour – but Green Book belongs to Mortensen and Ali. Together, they have a wonderful give-and-take, both strangers in the other’s world, streetwise versus book smart, and both wind up learning from each other. And it’s the audience who benefits most from getting to watch it all unfold. Just as one might suspect from a movie about a musician on tour, the music in Green Book is a vital component of the plot. Don Shirley’s music is indicative of the man himself; it’s a crossbreed of jazz and classical, with just enough pop sensibility to keep it accessible to the general public. Basically, the music is “not black enough to be black but not white enough to be white.” And it underscores the character of Dr. Don Shirley perfectly. Mahershala Ali stars in GREEN BOOK, photo courtesy of Participant Media/Universal Pictures. There’s other music in the film as well, pieces from artists as varied as Chubby Checker to Claude Debussy, as well as a terrific original score from Kris Bowers (Monsters and Men, The Snowy Day). But what ties the movie together, as well as its theme, is the genre-defying hybrid music of Don Shirley (of which Bowers also supervised the rerecording). Whether played in a concert hall or a dive bar, Doctor Shirley’s music shines brightly in Green Book.